Red, white, and “wooh!” As the 4th of July approaches, we’re simply giddy thinking about all of Pittsburgh’s firecrackin’ festivities. Let’s get started! If you’re new to Pittsburgh, the Red, White, & Blue Bus Tours are a unique and fun way to acclimate yourself with the area. These double decker buses run daily from 9 AM to 7 PM, with plenty of opportunities to hop on and off, so you can explore the city at your own pace. Never droll or dull, these tours are packed with personality, Pittsburgh spirit, and interesting historical facts. Better yet? The tour will be running on the 4th, so you can enjoy the best tour before the best fireworks! If a bus tour isn’t your speed, you can head down to Point State Park, hours before the renowned firework display, and celebrate all day! Thanks to the EQT Three Rivers Regatta, food, drinks, and entertainment are featured as an inclusive and exciting way to bring people together to “Celebrate America the Pittsburgh way!” Free and open to the public, you will find plenty of delightful, family-friendly activities. Visit the official site, celebrateamericapgh.com, for more information. Searching for more sports now that the Penguins have won the Stanley Cup? On the 4th, catch Pittsburgh’s soccer team, the Riverhounds, face off against the Charlotte Independence at Highmark Stadium in Station Square. If you’re not familiar, Highmark Stadium is right across the river from Point State Park, making it one of the best seats in the house for fireworks viewing! Come for the soccer, stay for the sights. Sound like a match made in heaven? Purchase your tickets here! Speaking of the Pens, we hear the fireworks this year will be honoring the team’s big win. Whether you’re headed to Station Square, catching a tour bus, or traveling to Point State Park, you can do it all without the hassle of traffic and parking. Hop a city bus and get goin’ — Downtown is just a short ride from Shadyside via the East Busway! To check all holiday bus schedules in advance, click here. 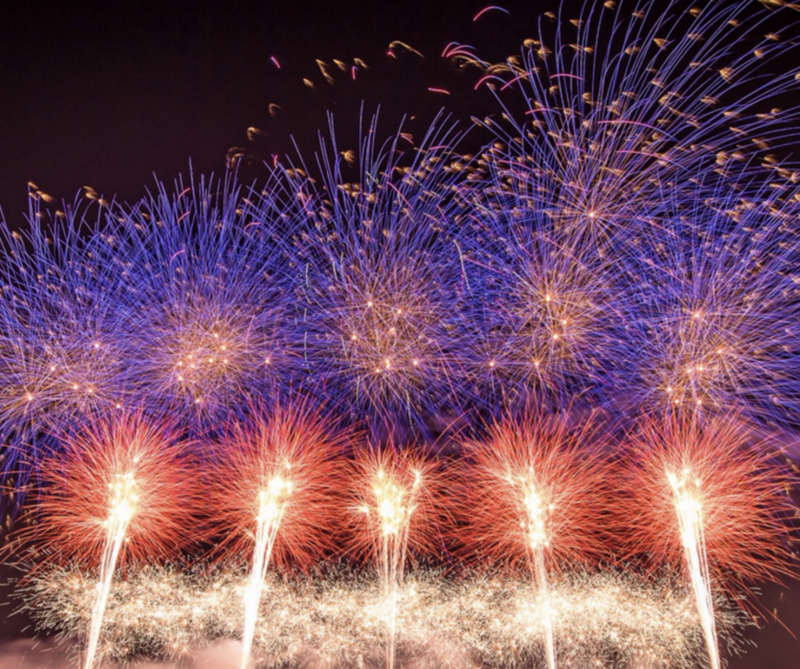 Wherever your day leads you, we hope you get to witness the excitement and extravagance of Pittsburgh’s 4th of July fireworks, Flashes of Freedom. Considered one of the best displays in the country, this event is not one to be missed! The Frick is giving T.G.I.F a whole new meaning with Summer Fridays at the Frick! Starting today, June 23rd, and continuing until September 8th, you and your family can enjoy this outdoor-focused series every Friday from 6:30 PM to 9:00 PM. Located in Point Breeze and just a short distance from many Franklin West apartments, Fridays at the Frick ensure there’s always something to do on the start of every weekend – perfect for those warm nights you just can’t bear to stay inside! Entertaining performances are featured every week, held at the North Lawn of the Frick grounds. Unfortunately, due to this Friday’s oh-so Pittsburgh weather, all outdoor activities have been cancelled. For the full schedule of upcoming events, visit here. Let’s home next week is sunnier! While you’d otherwise be enjoying the lush green surroundings, family-friendly activities, and exciting performances, you can also treat yourself to the remarkable dining options and wine bar – it is Friday after all! The Cafe at the Frick is open 5:30 PM to 8:30 PM. Featuring locally-sourced and a seasonal menu, The Cafe at the Frick always offers a unique dining experience. Reservations are recommended. Check out the cafe’s lunch and high tea times, too! Looking for something a bit more casual? Food trucks will be parked at Frick every Friday, so you can enjoy a picnic on the beautifully-landscaped grounds. But, hey, even gloomy, rainy days can’t stop the fun! Explore the elegant, first-floor interior of the Frick’s family mansion, Clayton (pictured above) – free to public from 5:00 PM to 8:00 PM. 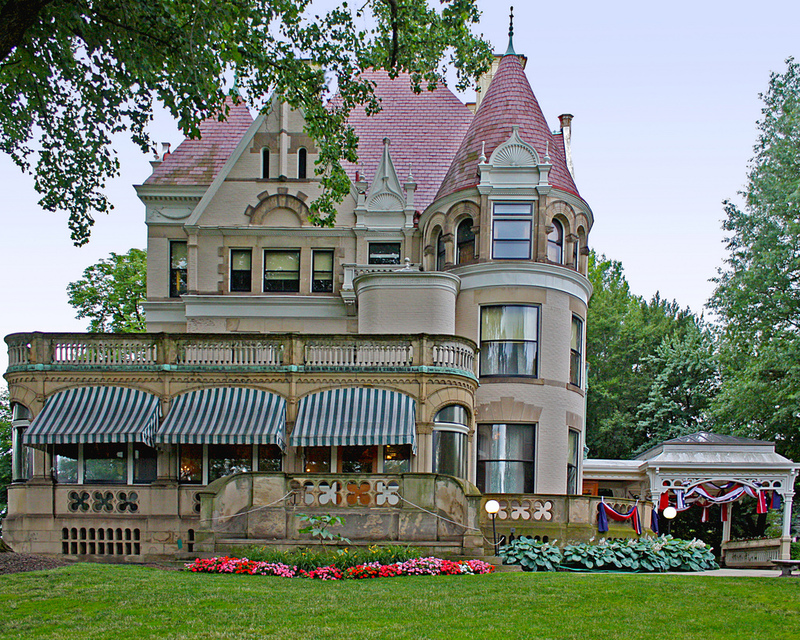 The Clayton shines as one of the most intact Gilded Age homes and a stunning look into American and regional architecture of the time. Continue your cultural and historical journey at the art museum, The Frick Pittsburgh, open until 9:00 PM on summer Fridays! Built in 1969 by Helen Clay Frick, the daughter of Henry Frick, the museum is home to the Frick’s permanent collection of painting, sculpture, and decorative arts. World-class temporary exhibitions also make it to the art museum. 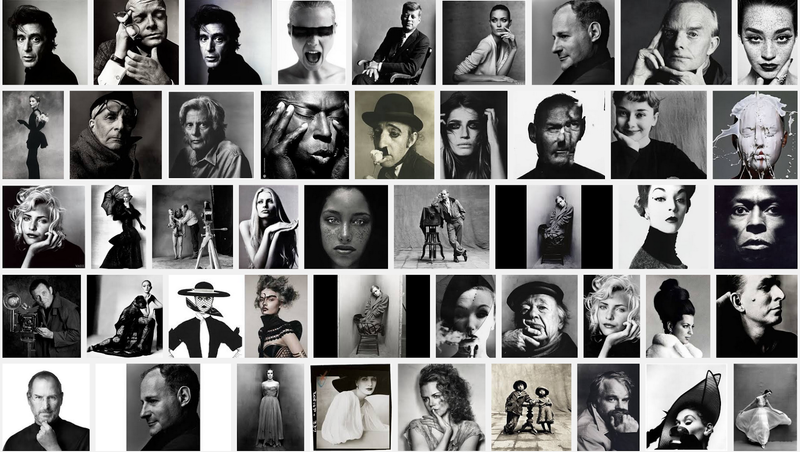 Currently, you can experience the compelling and intimate photographs by iconic American photographer, Irving Penn. With a career spanning seven decades, 140 outstanding photographs are on display – a captivating retrospective that simply cannot be missed. The perfect solution to a rainy Friday evening? We think so! Anywhere you look on Frick’s 5-acre site, you’ll be met with verdant lawns, vibrant gardens, rich history, and smiling faces. If that doesn’t sound like an ideal Friday night, we don’t know what does. Happy summer, friends! Picture it: driving through the ‘Burgh on a sunny day with the windows down, your favorite radio station playing something sweet and melodic – as it always does. Sometimes, it just feels better to unplug your phone and listen to something classic, something authentic, and something from — and by — the community. That’s the spirit of WQED, the only community-owned multimedia resource in this region. In 1954,WQED became the nation’s first community-supported television station. Then, in 1973, Classical WQED-FM was founded as the region’s only 24-hour classical radio station. Today, consistent with its mission, WQED changes lives by creating and sharing outstanding public media that educates, entertains and inspires. WQED’s rich content reaches the community through five television programming streams and three radio streams. Learn more about the station’s vibrant history here. 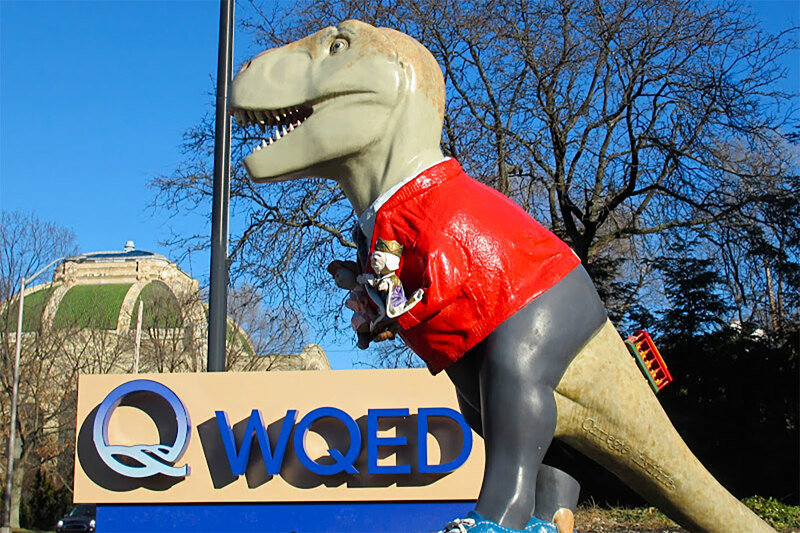 With its station and headquarters on Fifth Avenue, WQED is an essential part of Pittsburgh’s East End, and to Pittsburgh as a whole. Like WQED, Franklin West, Inc. has its roots in Shadyside. Founded in 1964, Franklin West, Inc. is an active supporter and partner of WQED. When you call Franklin West, Inc. (412-661-1151) you will always get a live person — no voicemail here! However, if you were ever to be put on a brief hold, you will get to listen to the ever-enchanting sounds of WQED 89.3 FM, “the voice of the arts in Western Pennsylvania.” Beyond classical music, WQED also highlights retrospectives, tributes, community events, and celebrations. As a non-commercial public station, WQED thrives from the support of the community. If you love the station as much as we do, or simply would love to support Pittsburgh’s cultural keystone, you can become a member today! A minimum of $5 a month will help WQED continue its mission of educating and celebrating the community — and it will reward you with the WQED passport, which allows you to watch any PBS show streaming on demand. There’s always something happening within the station and on the airwaves. See everything WQED offers here, and we hope your relationship with WQED flourishes just as it has with Franklin West, Inc.
We know the feeling all too well — when the weather warms and you’re just itching to make new plans, try new things, and go on new adventures. If you’re looking for an exciting activity that goes beyond the everyday, the Pittsburgh Glass Center should be your next stop. Just a mile away from many of the Franklin West apartments, the Glass Center is a perfect destination on weekday evenings and sunny weekends alike. Check out the Glass Center’s calendar here to see what’s waiting to be explored — from beginner and advanced classes to dazzling exhibits displayed on the first floor. Now through July 30th, see Leana Quade’s unique art, which experiments with new ways to experience glass through light and fluidity. The Pittsburgh Center is free and open to the public, but if you’re looking for a more hands-on experience, you can register for classes here. With a number of 2-hour beginner classes, like Marvelous Marbles and Glass Terrariums, your creativity will always have opportunities to flourish. This is a summer for new adventures. Take advantage of all the neighborhood has to offer. Hey, and don’t forget to bring your best pals along! Maybe after you’ve made your first terrarium, you can celebrate your achievements with a refreshing brew at Primanti’s. Seasonal splendor is here! Warmer weather means welcoming one of the greatest treats to the neighborhood: farmer’s markets! Our arms are wide open for the fresh produce, meats, cheeses, baked goods, and crafts sold by local farms and artisans. In some locations, you may even see flowers, handmade soaps, coffee, balloon animals, live music, and more. It’s more than just a trip to the farmer’s markets – it’s a fun family outing! Starting as early as May 15th and extending into fall, you can find farmer’s markets in 7 different bustling locations on various days, Monday through Sunday. Specific addresses and dates are provided here – Don’t miss out on the farm-fresh goodness, right in your own backyard! The 2017 Shadyside Farmer’s Market will take place in the Liberty School Lot (corner of Ellsworth & Filbert Street) every Saturday June 3 – September 30 from 10am-2pm. 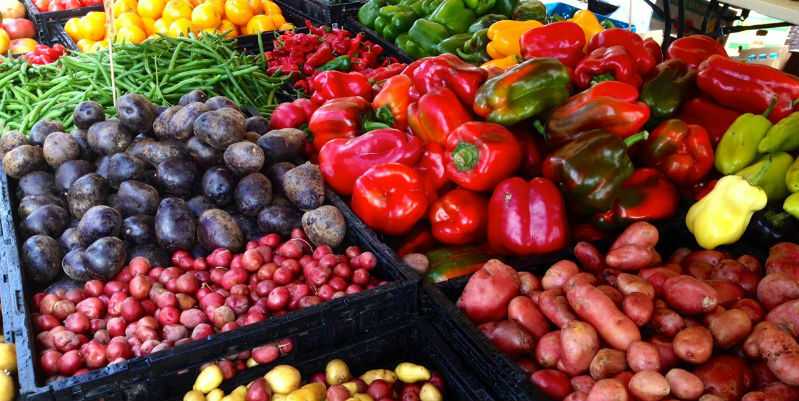 For a list of vendors and events at the Shadyside Farmer’s Market, click here. Are you ready to enjoy nature’s bounty?